Mr. Clean-it LLC has a long history of auto detailing Olathe and Kansas City metro areas. We offer what the customer wants when they come to us…a clean and beautiful vehicle. 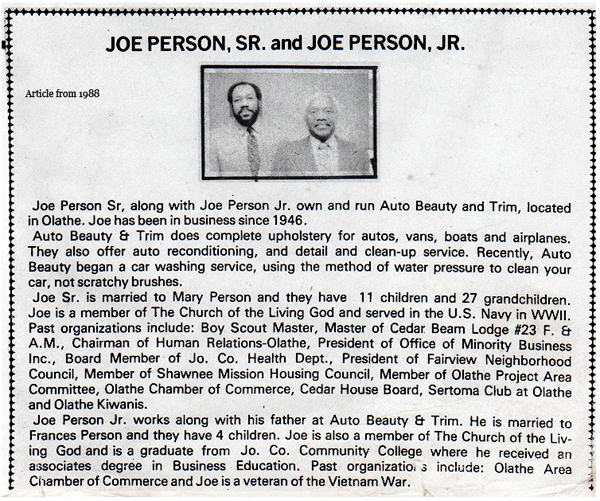 Mr. Clean-it LLC’s roots go as far back as 1946 when it was owned and operated by Joe Person Sr. 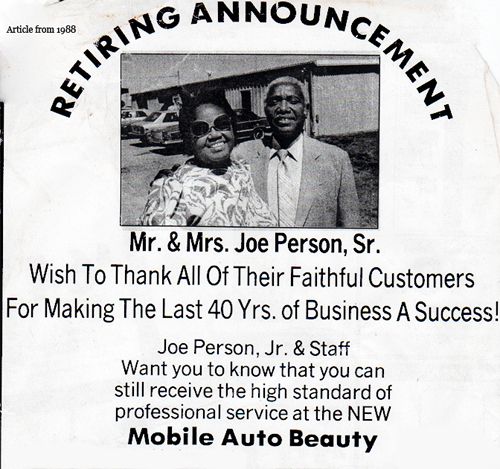 In 1988 Joe Person, Jr. took over the business, made the business mobile and he retired in June, 2014. Today Joe Person III runs the company and is taking Mr. Clean-It LLC into the mobile eco-detail industry. The business has been known as Auto Beauty and Trim, Mobile Auto Beauty, Auto Details, Mr.Clean-it, and now Mr. Clean-It LLC.